With their happy nodding heads, Campanula, or bellflower plants, are cheery perennial flowers. The plant is native to many regions where cool nights and moderate temperatures prevail, creating ideal conditions for growing bellflowers. Bellflowers will bloom heaviest in June and July but can delight you with flowers all the way into October in some areas. Master how to grow campanula bellflowers for long-lasting alpine native flowers that will enliven the landscape in borders and rock gardens. Campanula is a group of over 300 annual, biennial and perennial plants that span several sizes and colors. The primary characteristic is the upturned, open cup-shaped flowers in hues of pink and white but primarily lavender or light blue. The plants will spread over the seasons and the lower growing varieties make excellent ground cover. Most bellflowers begin blooming in July and keep on flowering until frost. Bellflowers perform best in USDA plant hardiness zones 4 and up but may grow in zone 3 with some protection. 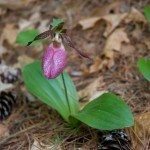 They are cold hardy plants that are useful specimens in areas with hard winters. They require full sun for best flower production, and well-drained soil with moderate moisture. Once established, bellflower plants can tolerate periods of drought. Soil conditions for growing bellflowers can be any pH range, including highly acidic. Campanula can grow from seed or from rhizomes. The tiny seeds should go in prepared soil in spring after all danger of frost has passed. Make sure to keep seedlings moderately moist when caring for bellflowers. To plant rhizomes, sever them from the parent plant at a root node and bury the roots in the soil. Caring for bellflowers does not require any expertise. As with most perennials, they are hardy plants that tolerate quite a lot of extreme weather and arid conditions. 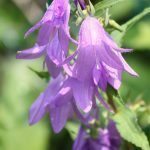 Bellflower care includes deadheading to promote more blooms and a longer lasting display. 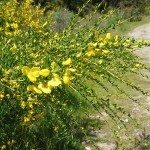 You can also cut it down to the ground in late winter to early spring to rejuvenate the plant. Also, some varieties of bellflower have invasive potential and seed heads need to be removed before they spread. Bluebells – Bluebells are one of the most common Campanulas. These little woodland flowers are common across North America in highland fields. Scotch bluebell is native to the British Isles and may get 10 inches tall. Dwarf bellflowers – Dwarf bellflower is useful in container gardens and tucked into rockery crevasses. It gets only 3 inches tall but may spread 15 inches wide. Carpathian harebell – Carpathian harebells may achieve 12 inches and are one of the most cold hardy specimens. American bellflower – American bellflower is a vigorous seeder and may become a nuisance plant but the 1-inch wide true blue flowers are worth the extra effort to keep it in control.